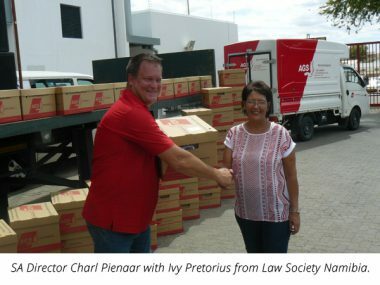 AGS Records Management Namibia launched their massive state-of-the-art facility in Windhoek. The impressive 530m2 warehouse has the capacity to store up to 85 000 containers. 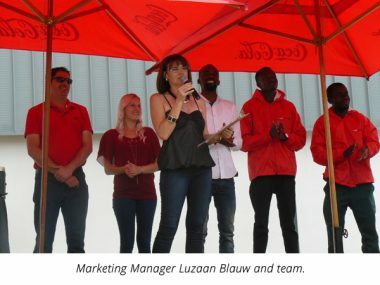 AGS Records Management Namibia launched their new warehouse situated in the popular Lafrenz Industrial area in Windhoek, Namibia earlier this year. The warehouse has the impressive capacity to accommodate 85 000 record boxes and is under 24-hour surveillance to ensure the safety of all stored records. AGS South Africa Director, Charl Pienaar attended the opening ceremony along with individuals representing various industries in the country. While addressing the crowd, Charl stressed the importance that AGS places on the security and confidentiality of documents entrusted to us. The launch presented the perfect opportunity to introduce attendees to the services offered by the branch. 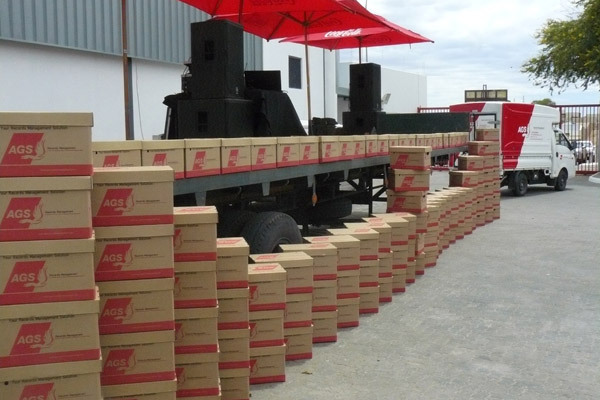 AGS Records Management offers businesses a complete records management service including collecting, packing and loading, as well as on- and off site filing and imaging. With 44 years of experience in the industry, AGS Records Management is able to guarantee the safe handling and storage of our clients’ documents.